What’s more ghoulish than seeing the SAME scary Halloween decorations in the yard of every house in your neighborhood? The fact that you worked your hands to the bone to pay some superstore vultures for Halloween decorations that are a far cry from unique! That’s enough to make any werewolf howl! Perhaps you’re scared silly by the amount of time or money printing custom Halloween decorations might gobble up… But don’t worry, Wolf Man! Creating spooky seasonal yard decor is easier and less expensive than you think. How do you get off the beaten path? SIMPLE! Upload photos from past Halloweens boasting great costumes and print displays for around the house or yard. One of the most durable and inexpensive ways display your photos is to print to Gatorboard. (Quick fact: Gatorboard is the industry’s leading heavy-duty foam board. It is extremely long lasting, and reusable). 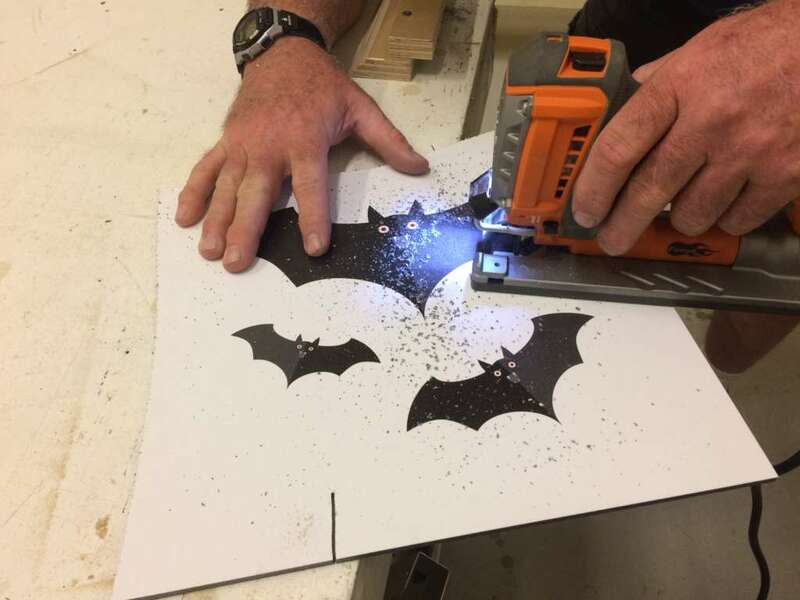 For those of you who wish to get a bit more creative, send ArtisanHD scalable vector graphic files of bats, spiders, skulls or coffins… and when printing those to black Gatorboard, you can easily cut them out with a jig-saw! 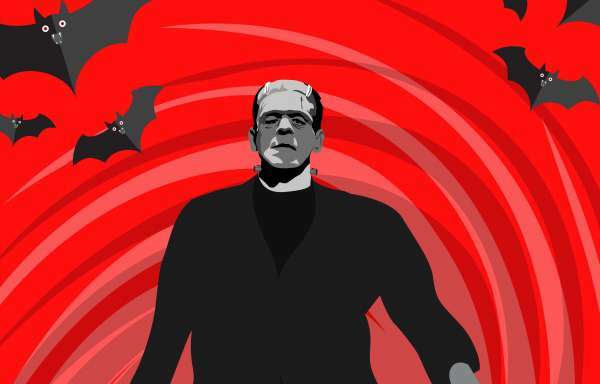 So, Where Can A Ghoul Find Scalable Vector Files for Printing? There are lots of spooktacular custom Halloween decor vector files available to download for printing, especially if you know where they haunt the interwebs! Best of all, many of these reputable stock vector websites will actually offer 100% FREE vector graphics available for download. Most vector files are downloaded as .EPS, .PSD and .AI, but for best print results our print Artisans here at ArtisanHD suggest uploading your final files for printing as a PDF. You Can Even Carve Your GatorBoard Custom Halloween Decorations! 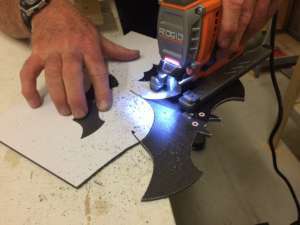 Once you have received your custom printed Gatorboard decorations (ArtisanHD ships most standard orders for free, by the way) – use your new prints “as is” or you can cut your printed Gatorboard easily with a jig-saw. Pro tip to make the edges of your yard art hide in the dark – Make sure you select Gatorboard with black core when sending your files to ArtisanHD, so your decorations will blend better at night. 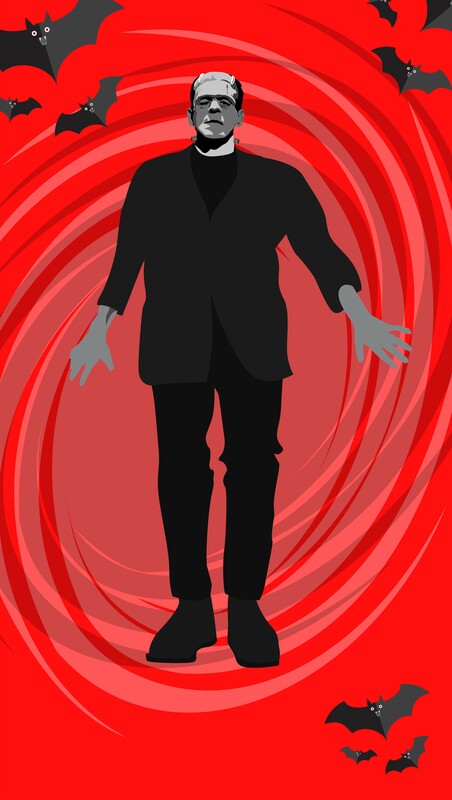 Check out our Halloween decoration ideas below! 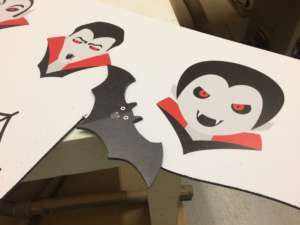 These Gatorboard prints will certainly be tougher then your basic Styrofoam tombstones – and with a just a little bit of TLC, your custom yard art will last you for several spooky seasons of Trick or Treating! Not a Fearless Fan of Halloween’s Scary Season? No worries, printing direct to Gatorboard is an economical yet durable print medium for many other image display applications! 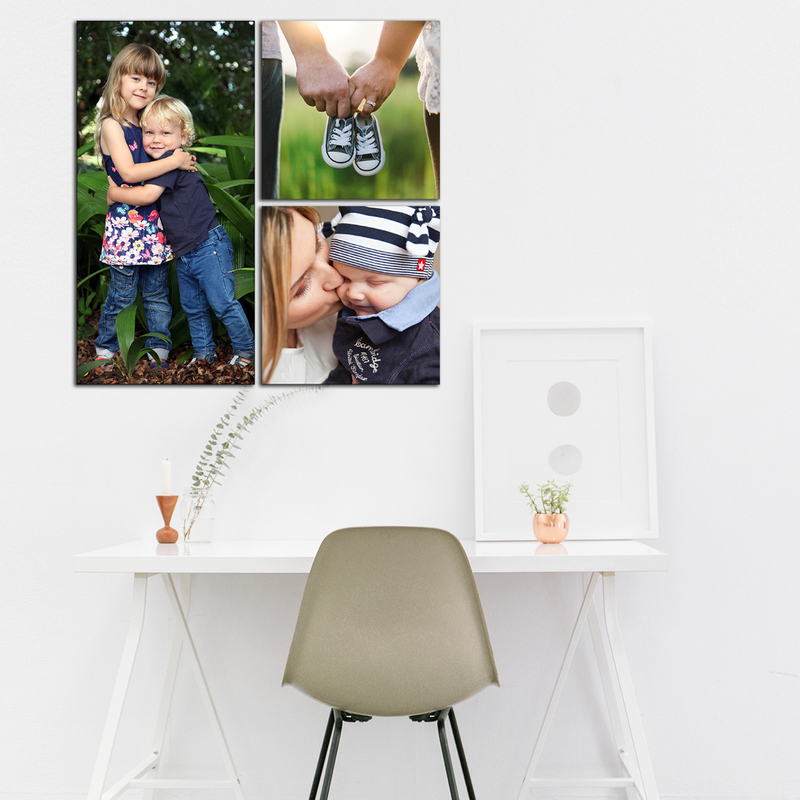 Print vacation photos and create a stunning collage wall of various sized prints, or make a big impact in your child’s bedroom with a large print of their favorite sports icon or superhero. No matter what you decide to print direct to Gatorboard, saving 30% on ALL your Gatorboard prints is nothing to be scared of! Be sure to use code 30GHOST17 at checkout. Sale runs 10/13/17 – 10/31/17.